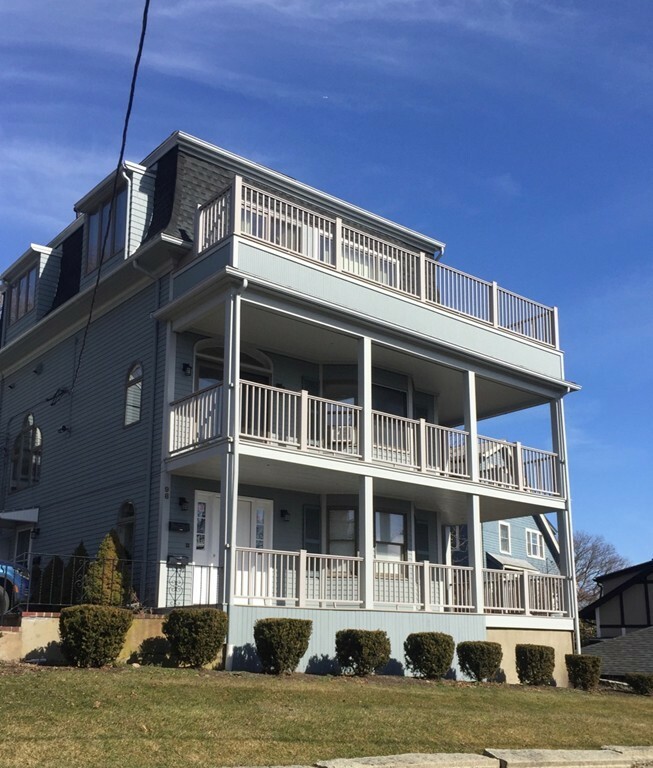 Open House Thursday, 9.20, 5-5:30 p.m. Come see this beautiful One Bedroom with amazing WATERVIEWS overlooking Swampscott Harbor and beyond! Bright, open space--many windows and wrap around deck with access from living room and bedroom. ONE car parking. One mile to commuter rail--an easy, scenic walk! Fully applianced eat-in kitchen. Laundry exclusive to the unit.